Specialty Photovoltaic products for your Boat, Recreational Vehicle, Cabin or Back Pack, we have a full line of equipment with a knowledgeable staff to help you make the right choice. Power your Dream, light up your Adventure – we are here to help. 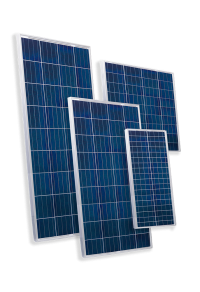 As the largest and most experienced solar manufacturer in the USA, SolarWorld’s Sunmodule solar panels are designed and manufactured to the highest standards of quality, performance and durability. The grid-tied and off-grid products from SolarWorld come in a variety of sizes, making them suitable for all applications – from a remote power generator to a large-scale power plant. LG Electronics Inc. is a global leader and technology innovator in consumer electronics, mobile communications and home appliances. The world needs renewable energy today, and LG Electronics is delivering environmentally sound solutions for a healthier and safer planet with its advances in solar energy. LG plans to reduce greenhouse gases in product usage by 30 million tons yearly, and by 150,000 tons by the year 2020. These efforts have been recognized by the TUV Rheinland of Europe and UL of US. LG’s solar power business was launched on the basis of an environmentally-aware leadership of LG Electronics and pointing it in the same direction. LG is going to make life more convenient, while helping to build a sustainable future. 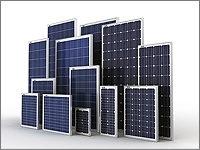 The Solarland® family of SLP Series PV modules offers models ranging in size from 3W to 270W. These A-Grade modules are built using only the highest quality components to ensure the best possible performance, & are designed for use in a wide variety of off-grid & grid-tie applications. The high performance cells are encapsulated in EVA (ethylene-vinyl-acetate) & placed between high transparent low iron tempered glass & a durable TPT (tedlar-polyester-tedlar) back sheet. The modules are framed using heavy-duty anodized aluminum frames, providing exceptional panel rigidity. All modules have a power tolerance +10/-5% & are backed by a 10/25 year power warranty. Stion’s Elevation Series (STO/STL) modules represent the convergence of high-performance materials and processing with scalable manufacturing. 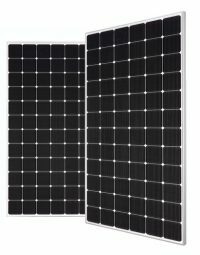 Our panels have been optimized to provide the lowest cost of electricity, ease of installation, and reliable power output. 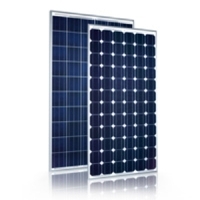 Provides up to 50% better performance in shaded conditions compared to typical crystalline silicon modules. Creates lower than industry-average temperature coefficient and debris tolerance increases power output at high temperatures.